Provide comfort for the family of Tommy Thomas with a meaningful gesture of sympathy. Tommy Charles Thomas was born October 2, 1941, in Oklahoma City, Oklahoma, to Tommy Furman Thomas and Doris Newby Thomas. He was their only child. He entered eternal rest on March 8, 2019, at home surrounded by family. Tom had endured a long and courageous battle with cancer and is proudly survived by his wife of 57 years, Carol Louise (Day) Thomas. Tom and Carol were blessed with two children, Lisa and David, and through them blessed with six granddaughters – Tabitha Kyle, Brandi Nicole, Amber Myshelle, Chelsea Marie, Veronica Louise, and Nora Jade, and then again through Brandi, blessed with a great-granddaughter, Evalynn Jade. When Tom was about three years old his father was killed in an airplane accident – he was a medic in WWII. Tom’s mother, Doris, struggled financially and as a young boy, Tom knew what it was like to do without – often. He also developed polio and asthma as a child and he and his mother moved many times in hopes the climate would improve his health. He spent his formative years in east Texas near the Bowie area, in the Denton, Texas area, in Ruidoso and Silver City, New Mexico before graduating high school in Douglas, Arizona, in May 1960. In the fall of 1960, he headed to Lubbock, Texas, to attend what was then Lubbock Christian College. At a football game there he saw a beautiful young woman with long dark hair spilling out over her soft white coat. He was smitten - but shy. A few weeks later she and her friends were having a snack in the “Sub” (the cafeteria) and she saw him sitting alone at a table. He was good-looking, with long eyelashes, and her friends dared her to go talk to him. She did – she invited him to a devotional – and they were inseparable from then on. Over the summer of 1961, through phone calls and letters, he proposed, and they were married September 2, 1961, in her hometown of Lovington, New Mexico. They began married life in Phoenix, Arizona, where Lisa Michele was born in 1962 and soon moved to Morenci, Arizona, where David William was born in 1966. Over the course of their life together, they also lived in Silver City and Las Cruces, New Mexico, Pennsylvania, Maryland, and eventually Yorkshire, England before retiring in Las Cruces to be near family. Throughout his lifetime, Tom enjoyed many hobbies including hunting, sailing, photography, and especially target shooting, at which he was “wicked good” in his younger days. In addition to his family, including two brothers-in-law, Skip Adams and Charlie Brannon, who he knew for over 50 years, he also felt blessed to have his guy friends, especially Ken Needham and the rest of his coffee buddies. He called our local Tom House his hero. Tom enjoyed good music, a good laugh, and a cold beer or glass of wine at the end of the day. He spent many evenings with Carol, friends and family on the back porch of their Las Cruces home cooking burgers and watching “The Show” as he called it, put on by the Organ Mountains at sunset. In his professional life, Tom was known as a clear-headed, clear-speaking leader. He was very good at breaking projects down step by step and working with different personalities to accomplish a goal. He began his working career as a radio disc jockey and also worked as a TV delivery and repairman. After his brother-in-law Skip helped him find employment with Phelps Dodge, Tom went on to work there for 20 years as a Metallurgical Aide. When David and Lisa were in junior high and high school, Tom went back to school at Western New Mexico University in Silver City, while working fulltime, and earned his degrees in Math and Computer Science. Upon his graduation, he and Carol moved to Las Cruces where he began his career as an engineer which eventually took them overseas to live and work in England from 1996-2004. Tom didn’t stop working when he retired – he and Carol completely remodeled their home and truly enjoyed opening it up to friends, family and neighbors. Tom served as a deacon in the Benevolence ministry, helping the poor and needy, a cause close to his heart. They enjoyed travelling and were always ready to try new things – but their most comfortable “happy” place was always in their home, with their loved ones and their two dogs, Issa and Weasel. Tom will be missed by his family for a lot of things, including his singing voice, his sense of humor when pestering Carol, him teaching scads of kids how to waterski at Elephant Butte, and being the most patient man in the world as grandkids tried to “help” him with remodeling – among many other things. Go with God, Dad, we love you. Tom’s remains will be cremated and returned to his family. 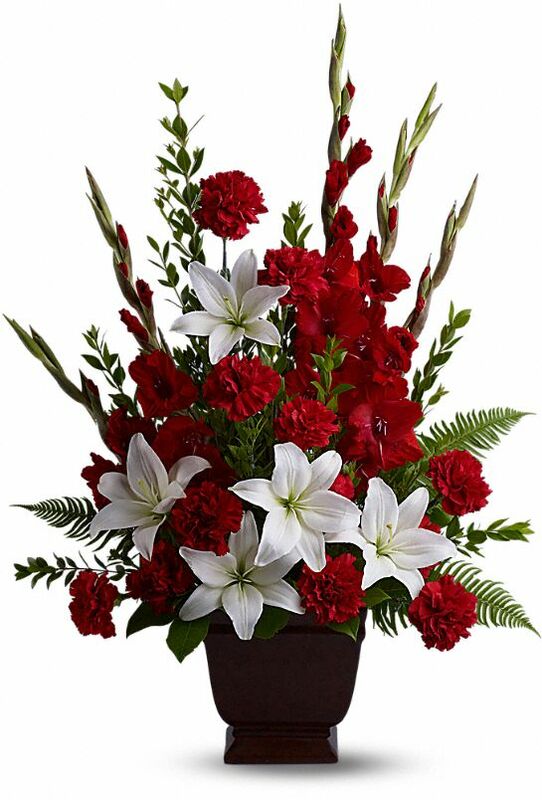 To send flowers in memory of Tommy Charles Thomas, please visit our Heartfelt Sympathies Store. Cheryl Moore sent flowers to the family of Tommy Charles Thomas. Cheryl Moore purchased the Tender Tribute for the family of Tommy Thomas.